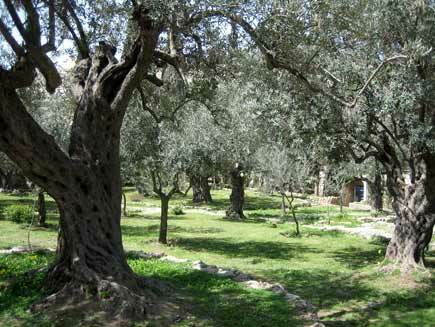 The Garden of Gethsemane (the name means “oil press”) is located at the foot of the Mount of Olives. Ancient trees in the garden are said to be 900 years old. A miniature from the Rosenwald Book of Hours, 1533, now in the Library of Congress. HERE is “Gethsemane” by Keith (piano) and Kristyn (voice) Getty, modern-day hymn writers. 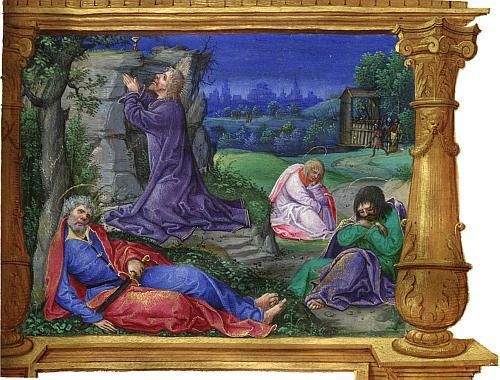 Jesus found victory at the cross by succeeding in the struggle in Gethsemane. Peter – just like us – failed in later temptation because he failed to watch and pray. 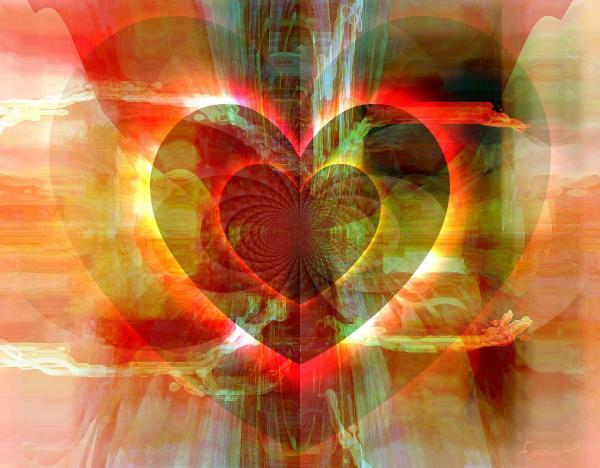 The spiritual battle is often won or lost before the crisis comes. Let it never be said that we could not watch with Him one hour. It seems likely that the smell of the perfume with which Mary anointed Jesus would have lingered for days. God may have used Mary’s act of devotion to telegraph a subtle but powerful message. 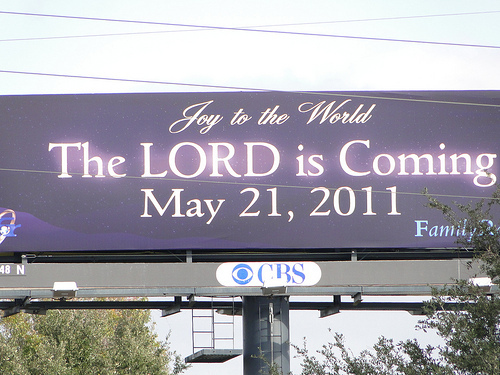 Everywhere Jesus went during the final days of his life he had the fragrance of royalty. Jesus smelled like a king. 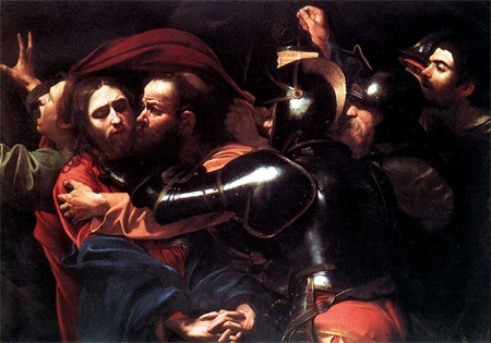 Imagine, in the garden of Gethsemane, as Judas and the guards approached Jesus to arrest him, the guards must have sniffed the air and wondered who stood before them. 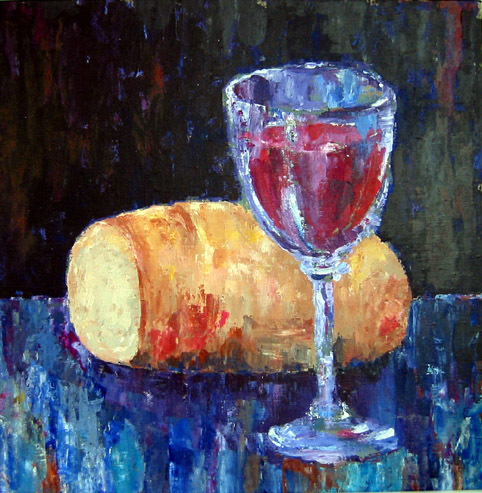 When Jesus was on trial, mocked, whipped, and stripped naked, even then the aroma may have clung to him. What an amazing God we have! But thanks be to God, who always leads us in triumphal procession in Christ and through us spreads everywhere the fragrance of the knowledge of him. For we are to God the aroma of Christ [the Anointed One] among those who are being saved and those who are perishing. To the one we are the smell of death; to the other, the fragrance of life. (2 Corinthians 2:14-16). As Jesus’ followers, we spread the fragrance of our anointed Messiah everywhere we go. 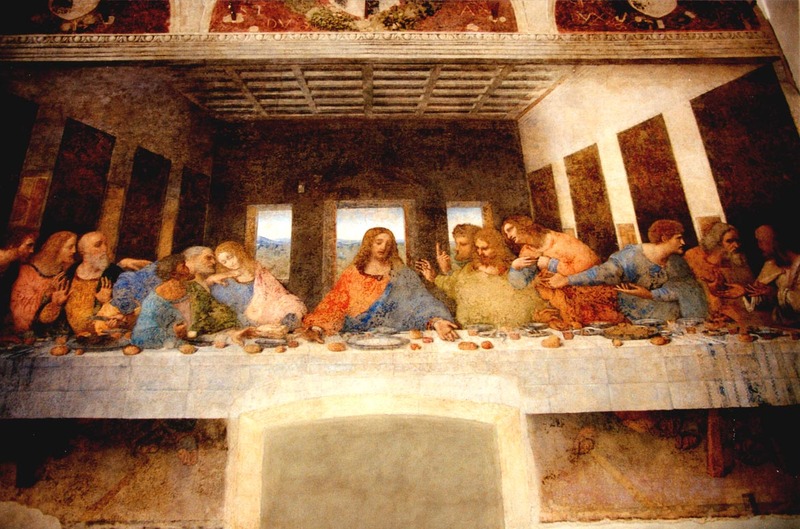 The Last Supper, by Leonardo daVinci, measures 15 feet by 29 feet and covers an end wall of the dining hall at the monastery of Santa Maria delle Grazie in Milan, Italy. 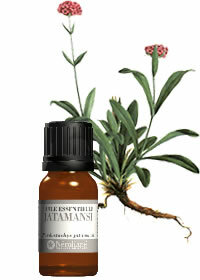 This hardy herb, a member of the Valerianaceae family, grows in the foothills of the Himalayas. The part of the plant growing underground has the appearance of a fibrous spindle, and is rich in the precious essential oil. From India, nard traveled, in the form of a dry rhizome or oil phase extract, via Persia, under the name nardin. Horace offered to send Virgil a whole barrel of his best wine in exchange for a phial of nard. Though nard is now rare on the shelves of the western perfumer, its name stood for centuries as an evocation of the perfume of the lost Garden of Eden, and in literature, nard came to refer to any perfume, as long as it was exquisite. By relating that it was contained in an alabaster flask, Mark (14:3) and Matthew (26:7) further underline the precious nature of the nard given to Christ. 6 But Jesus replied, “Leave her alone. Why criticize her for doing such a good thing to me? 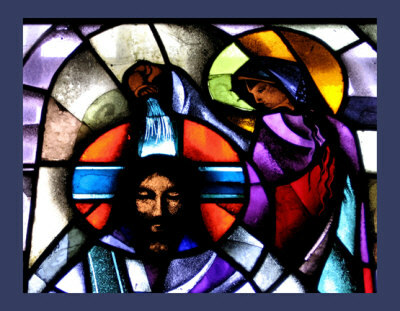 Without understanding the cultural background in which this anointing took place, it’s easy to miss the full significance of the dramatic gesture of this woman (John says it was Mary, John 12:3). What exactly was she trying to communicate? 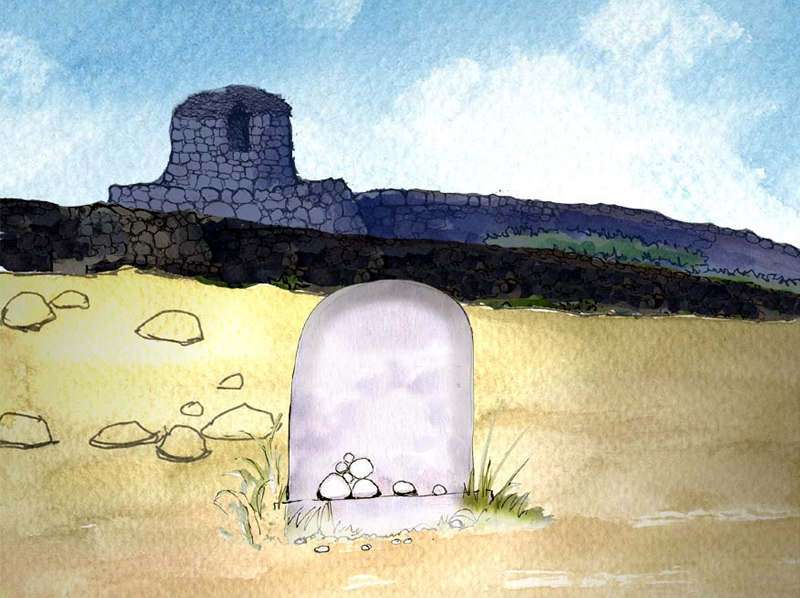 Jesus himself clarified one aspect of the story by commenting that she was preparing him for the day of his burial. We understand that her act of devotion pointed toward Christ’s death at the end of the week. But we miss something else that the disciples would have immediately realized, something so obvious that Jesus didn’t even need to mention it. By anointing him with expensive fragrances, Mary may well have been making a statement about who she believed Jesus was, proclaiming him as Messiah. In fact, the Hebrew word for Messiah is Mashiach, which literally means “the Anointed One.” Christos, or “Christ,” is the Greek equivalent. But why “the Anointed One”? The word “Messiah” alludes to the ceremony used to set apart someone chosen by God, like a king or a priest. Instead of being crowned during a coronation, Hebrew kings were anointed with sacred oil perfumed with extremely expensive spices. Only used for consecrating objects in the temple and for anointing priests and kings, the sacred anointing oil would have been more valuable than diamonds. The marvelous scent that it left behind acted like an invisible “crown,” conferring an aura of holiness on its recipients. 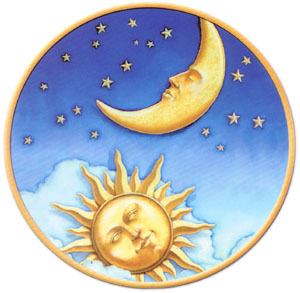 Everything and everyone with that unique fragrance was recognized as belonging to God in a special way. All your robes are fragrant with myrrh and aloes and cassia. 13 So Jesus sent two of them into Jerusalem with these instructions: “As you go into the city, a man carrying a pitcher of water will meet you. Follow him. A man carrying a pitcher was an unusual sight. Women usually carried liquids in pitchers and men normally carried liquids in animal skin containers. Therefore, a man carrying a pitcher would be a distinctive sign to the disciples. 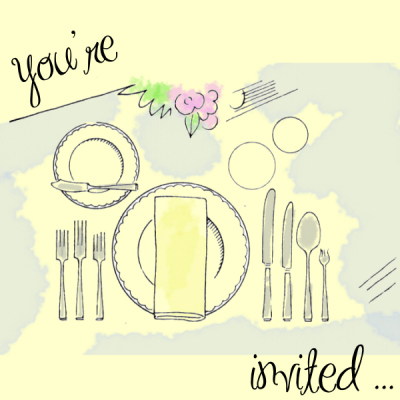 14 At the house he enters, say to the owner, ‘The Teacher asks: Where is the guest room where I can eat the Passover meal with my disciples?’ 15 He will take you upstairs to a large room that is already set up. That is where you should prepare our meal.” 16 So the two disciples went into the city and found everything just as Jesus had said, and they prepared the Passover meal there. From the 4th century Liturgy of St. James, a lovely Eucharistic hymn: “Let All Mortal Flesh Keep Silence.” My favorite lines: He will give to all the faithful His own self for heavenly food. Fernando Ortega is a peaceful soul and his music reflects that. As we come to the final chapters of Mark, we will have three songs sung by Fernando Ortega. HERE is the one for today. This temple was originally rebuilt by Zerubbabel and Ezra (Ezra 6:15), but greatly expanded and improved by Herod. It was the center of Jewish life for almost a thousand years — so much so, that it was customary to swear by the temple (Matthew 23:16), and speaking against the temple could be considered blasphemy (Acts 6:13). After Herod’s work, the temple was huge — nearly 500 yards long and 400 yards wide. Herod’s rebuilding started in 19 B.C., and was not completed until A.D. 63, taking more than eighty years. The magnificent temple compound was finished only seven years before it was destroyed. The beauty of the ancient temple is well documented. The Jewish historian Josephus says that the temple was covered on the outside with gold plates that were so brilliant that when the sun shone on them it blinded any observer. Where there wasn’t gold, there were blocks of marble of such a pure white that strangers, from a distance, thought there was snow on the temple. The comment of the disciples – see what manner of stones and what buildings are here – is especially appropriate given the massive stones Herod used in building the temple. Today, tourists can see some of these massive stones, at least the ones used to build merely the retaining wall for the temple compound. These cut, quarried blocks of limestone are so big – some are 50 feet wide, 25 feet high, and 15 feet deep – that modern construction cranes could not lift them. Archaeologists are still not completely certain how these stones were cut, transported, and placed with such precision that they don’t even need mortar. As great as the temple was, Jesus never hesitated to claim that He was greater than the temple (Matthew 12:5). 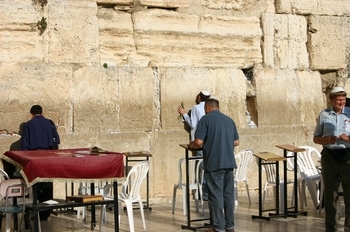 For many Jews of that day, the temple had become an idol — it subtly began to mean more to the people than God Himself meant. The temple was a good thing, but good things can become the worst idols; and sometimes God sours even good things that we allow to become our idols. God is in the habit of destroying our idols. 5 Jesus replied, “Don’t let anyone mislead you, 6 for many will come in my name, claiming, ‘I am the Messiah.’ They will deceive many. 7 And you will hear of wars and threats of wars, but don’t panic. Yes, these things must take place, but the end won’t follow immediately. 8 Nation will go to war against nation, and kingdom against kingdom. There will be earthquakes in many parts of the world, as well as famines. But this is only the first of the birth pains, with more to come. 9 “When these things begin to happen, watch out! You will be handed over to the local councils and beaten in the synagogues. You will stand trial before governors and kings because you are my followers. But this will be your opportunity to tell them about me. 10 For the Good News must first be preached to all nations. 11 But when you are arrested and stand trial, don’t worry in advance about what to say. 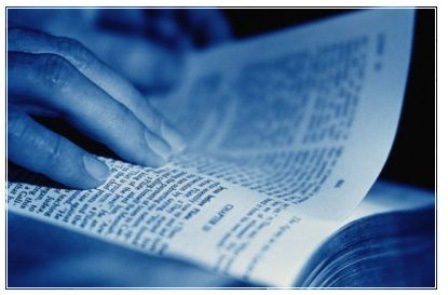 Just say what God tells you at that time, for it is not you who will be speaking, but the Holy Spirit. This last verse, sad to say, has been so mis-used in the church! The right words to speak will be given in an emergency or a difficult situation, Jesus says. It is not an excuse for our own poor preparation. 12 “A brother will betray his brother to death, a father will betray his own child, and children will rebel against their parents and cause them to be killed. 13 And everyone will hate you because you are my followers. But the one who endures to the end will be saved. 26 Then everyone will see the Son of Man coming on the clouds with great power and glory. 27 And he will send out his angels to gather his chosen ones from all over the world—from the farthest ends of the earth and heaven. Many Christians have assumed that Jesus is showing great humility by using this phrase. Though divine, Jesus relates to our human condition. 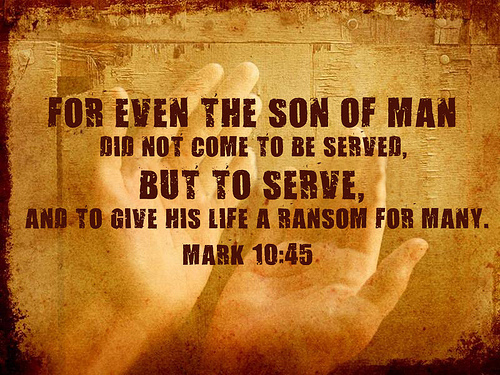 Indeed, “son of man” in Hebrew and Aramaic can both be used in an idiomatic way to refer to a human being in general. When associated with Jesus, the phrase could also have pointed to the fact that he is the true fulfillment of what a human being was supposed to be. In the first century, this passage was universally understood as a reference to the coming Messiah. The book of Daniel predicted the rise of great kingdoms, which would eventually fall to the authority of one supreme king, a king who would rule forever. The pinnacle of Daniel’s prophecy was this scene in which a humanlike figure enters God’s throne room, is crowned, and then sits down on the throne to reign. Jesus also speaks of himself as the Son of Man who will come in glory on the clouds, a clear reference to this passage from Daniel. His audience would know exactly what he is saying . . . HERE is one of my favorites from Hillsong — “Hosanna.” Christ is coming, and won’t that be a glorious day! HERE is “More Love, More Power” sung by Michael W. Smith. Here’s an illustration (by James Christensen) of the widow’s mite. I particularly like it. Notice how the rich people aren’t even looking at her. They are looking away. 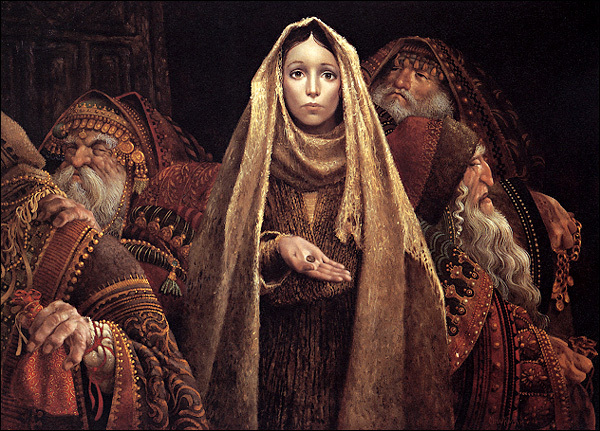 I heard a sermon once where this story was used to illustrate how we ignore the poor among us, turning away. Did they care for her? Did they provide for the widow in their midst, who had nothing, but was generous to the point of extravagance? 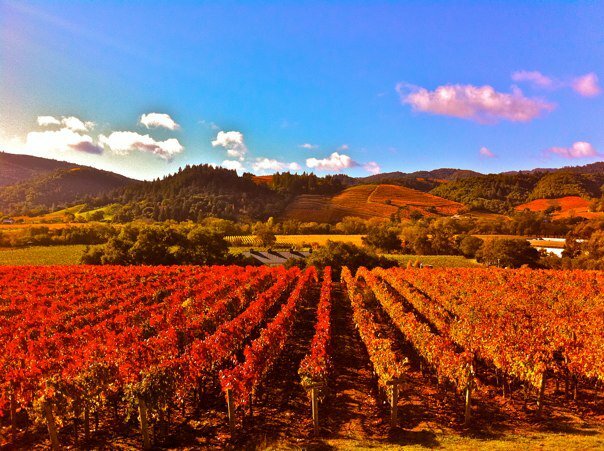 I have seen vineyards on four continents but some of the most beautiful, in my opinion, are in Sonoma County, California. 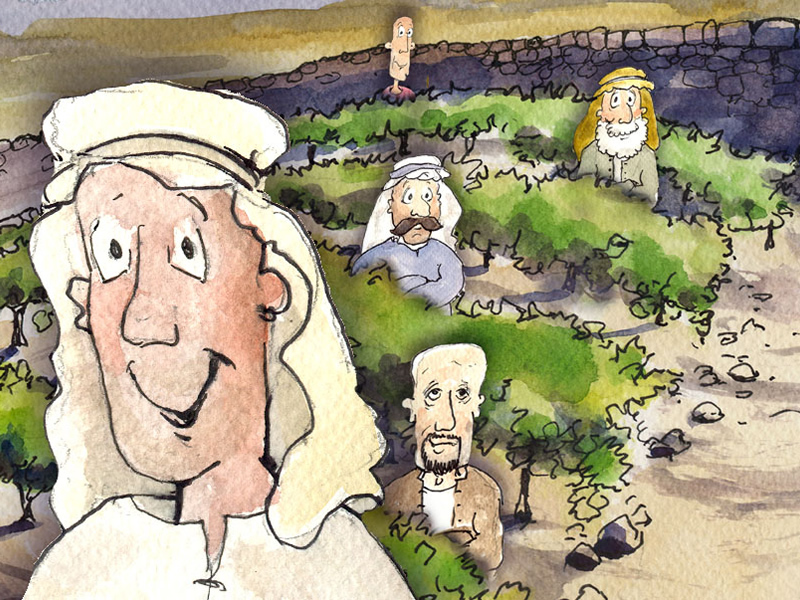 1 Then Jesus began teaching them with stories: “This man planted a vineyard. 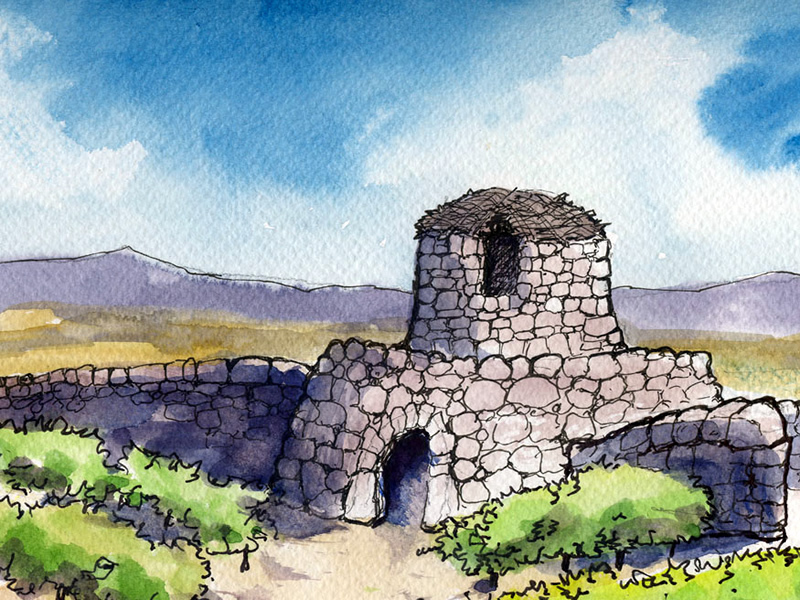 He built a wall around it, dug a pit for pressing out the grape juice, and built a lookout tower. 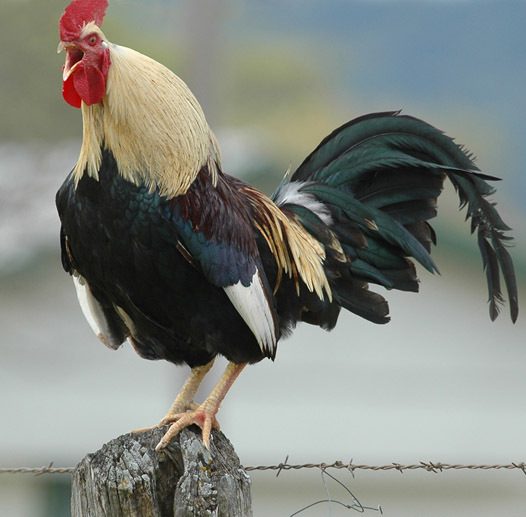 Then this man leased the vineyard to these tenants and moved to another country. 2 At the time of the grape harvest, this man sent one of his servants to collect his share of the crop. 3 But these tenants grabbed the servant, beat him up, and sent him back empty-handed. 7 “But these tenants said to one another, ‘Here comes the heir to this estate. Let’s kill him and get the estate for ourselves!’ 8 So these tenants grabbed him and murdered him and threw his body out of the vineyard. 9 “What do you suppose the owner of the vineyard will do?” Jesus asked. 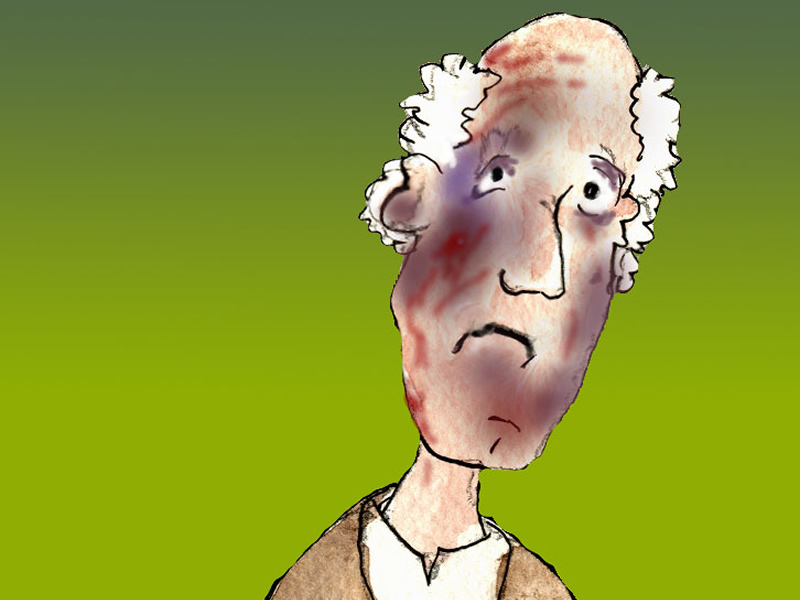 “I’ll tell you—this man will come and kill these tenants and lease the vineyard to others. 10 Didn’t you ever read this in the Scriptures? 12 The religious leaders wanted to arrest Jesus because they realized he was telling the story against them—they were the wicked tenants. But they were afraid of the crowd, so they left him and went away. A Roman imperial denarius (the coin Jesus asked for) was silver with the picture of Emperor Tiberius. These coins were minted from 14 to 34 AD. Can you see their smug faces? If Jesus says yes, then he grants to Caesar, rather than God, sovereignty over the nation of Israel. If he says no, it could be construed as treasonous. Ah, they think he cannot win! A coin with the emperor’s image on it belongs to the emperor. But we, who have been made in God’s image, belong to God. Jesus clearly wins this round! This is amazing! I found the picture from the first wedding! See the groom (who will soon die, poor thing) and all his brothers! And the long-suffering bride! 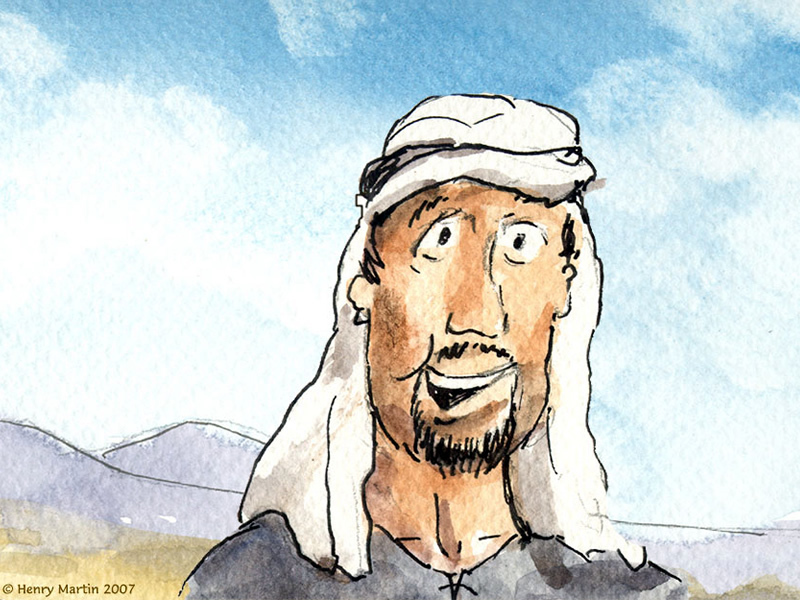 18 Then Jesus was approached by some Sadducees—religious leaders who say there is no resurrection from the dead. The Sadducees, who followed only the Five Books of Moses, spun an imaginary story to make the whole idea of resurrection look ridiculous. So Jesus uses one of the Five Books of Moses, Exodus, to prove that they are wrong! Another brilliant victory for Jesus! 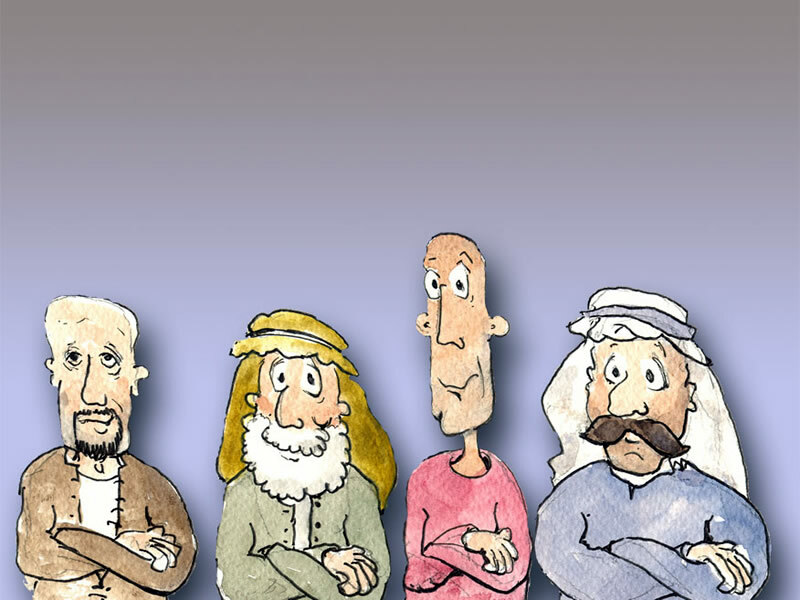 Rabbis interpreted the Torah, explained the Scriptures, and told parables. 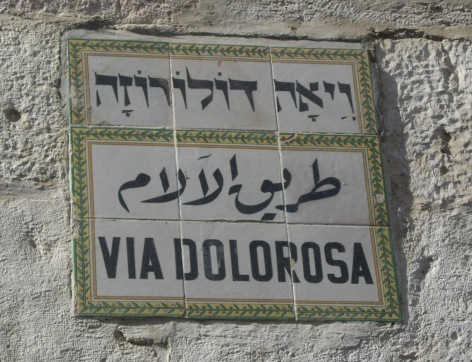 Some traveled from village to village, teaching in synagogues. Though they relied on the hospitality of others, rabbis were never paid. They often took disciples who would study under their direction for years, traveling with them everywhere they went. Study sessions were often conducted outdoors in vineyards, marketplaces, beside a road, or in an open field. Disciples would then go out on their own, holding classes in homes or in the synagogue. This fits perfectly with Jesus’ statement that “others have renounced marriage because of the kingdom of heaven” (Matthew 19:12), and Paul’s affirmation of singleness as well. 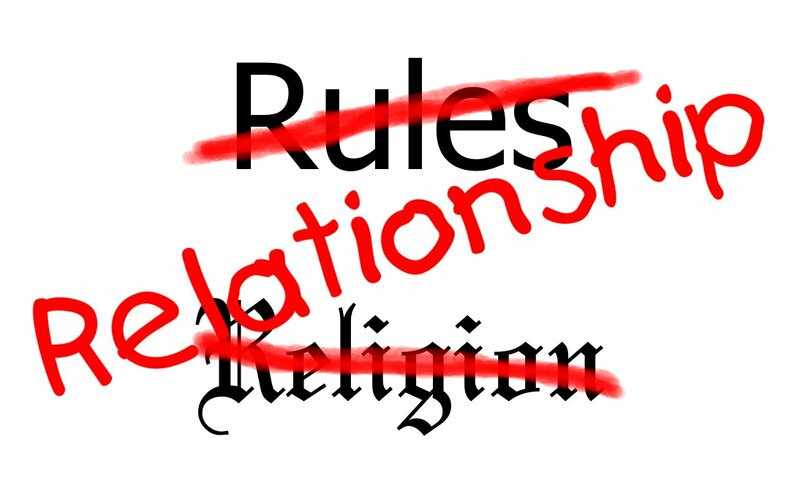 Singleness was not an impossibility, but a sign of a rabbi’s great commitment to God. wedding picture. 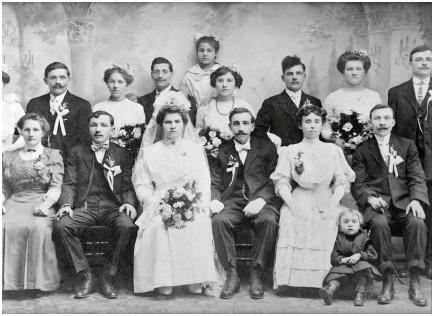 The bride and groom (center front) are Joe Orban’s grandmother and grandfather. He said the image was photographed in 1912 in New Jersey. Before Joe’s father passed away he wrote a history of his heritage and gave Joe some old photos. This encouraged Joe to research his paternal heritage several generations to a small town on the Austrian-Hungary border. In this old photo Joe’s grandfather, Youzef, was 24 and he thinks his grandmother, Ester, looks somewhat younger. Youzef traveled to the USA in 1904 at the age of 15 on a steamship and Joe found details of this from the Ellis Island entry records. The couple had 3 children, but two died in their teens. Within 7 years of this photo being taken, Ester died in the Great Flu Plague of 1919. 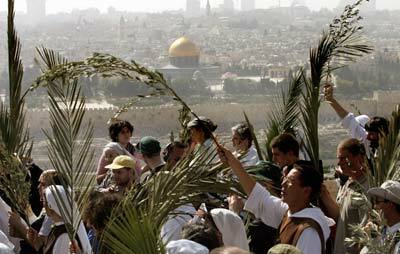 Pilgrims from around the world come to modern-day Jerusalem to celebrate Palm Sunday. They wend their way down the Mount of Olives, across the Kidron Valley, and through the streets of the city to the Church of the Holy Sepulcher. 4 The two disciples left and found the colt standing in the street, tied outside the front door. 5 As they were untying it, some bystanders demanded, “What are you doing, untying that colt?” 6 They said what Jesus had told them to say, and they were permitted to take it. Jesus has everything already arranged for this important week. He has taken care of the colt for his entry into Jerusalem, and later we will see how he has taken care of the location for the Passover meal they will share. Amy Carmichael says, “When our Lord Jesus comes again He will want to have a company of people upon whom He can count to do anything at a moment’s notice, without fuss or demanding explanation. If that is to be so, we must prepare now. How delightful it must have been for Jesus to be able to count on the owner of the colt and know that he would not disappoint Him. And there was another unknown man in Jerusalem to whom it would be enough to say, The Master saith, Where is the guestchamber? 7 Then they brought the colt to Jesus and threw their garments over it, and he sat on it. 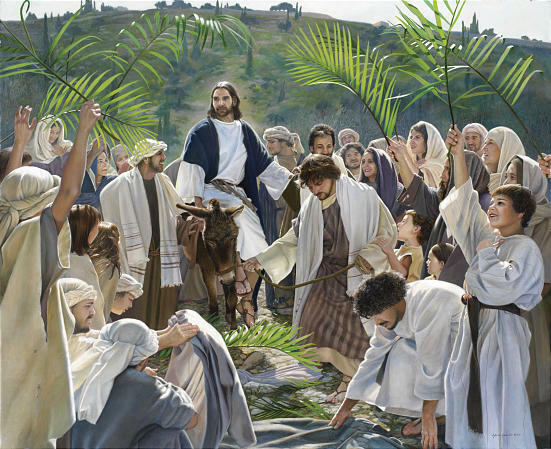 8 Many in the crowd spread their garments on the road ahead of him, and others spread leafy branches they had cut in the fields. These statements from the crowd come from Psalm 118:19-29. In this, their praise was Scriptural. It’s important that we praise God as He wants to be praised. So if God says we are to come to Him with words (Hosea 14:2), then that is how we come. If God says we are to come to Him with song (Psalm 100:2), that is how we come. If God says we are to come to Him with hands raised up (Psalm 134:2), that is how we come. The whole point in worship is to do what pleases God, not what pleases us, but the beautiful truth is that when we please God, we find ourselves wonderfully pleased. Behold, I send my messenger, and he will prepare the way before me. And the Lord whom you seek will suddenly come to his temple; and the messenger of the covenant in whom you delight, behold, he is coming, says the LORD of hosts. But who can endure the day of his coming, and who can stand when he appears? For he is like a refiner’s fire and like fullers’ soap. He will sit as a refiner and purifier of silver, and he will purify the sons of Levi and refine them like gold and silver, and they will bring offerings in righteousness to the LORD. Blessed is he who is the true judge. 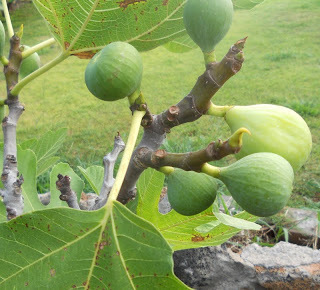 When Jesus approached the fig tree, the text indicates that the tree had plenty of leaves. R.K. Harrison, writing in the International Standard Bible Encyclopedia, explains that various kinds of figs grew in Palestine during the first century. One very important aspect of fig growth has to do with the relationship between the leaf and the fruit. Harrison notes that the tiny figs, known to the Arabs as taksh, “appear simultaneously in the leaf axils” (1982, 2:302) This taksh is edible and “is often gathered for sale in the markets” (2:302). Furthermore, the text notes: “When the young leaves are appearing in spring, every fertile fig will have some taksh on it…. But if a tree with leaves has no fruit, it will be barren for the entire season” (2:301-302). Thus, when Jesus approached the leafy fig tree, He had every reason to suspect that something edible would be on it. However, after inspecting the tree, Mark records that “He found nothing but leaves.” No taksh were budding as they should have been if the tree was going to produce edible figs that year. The tree appeared to be fruitful, but it only had outward signs of bearing fruit (leaves) and in truth offered nothing of value to weary travelers. In addition, anyone even slightly familiar with the character of Jesus knows that He did not spend His time on this Earth eradicating barren fig trees as an ecological service to Palestinian farmers. What, then, was the point of such abrupt action against the tree? When one notices the context of the event, Jesus’ intention seems to become apparent and two fold. First, in its immediate context, the barren fig tree seems to apply to the pretentious religion of the Jewish leaders in Jerusalem. Following Jesus’ curse upon the fig tree, the text says that Jesus went to Jerusalem and began to drive the money changers out of the temple (Mark 11:15-19). The activities in the temple that once had been fruitful and wholesome had become empty of value and useless. Allen Black commented: “The cursing of the fig tree symbolizes God’s judgment on Israel for not bearing the fruit he wanted from the temple. It foreshadows the cleansing of the temple and ultimately the prophecy of its destruction in chapter 13” (1995, p. 200). Second, in a general sense, Jesus often insisted that trees which do not bear good fruit will be cut down (Matthew 7:19; Luke 13:6-9). The fig tree did not bear fruit, was useless, and deserved to be destroyed: the spiritual application being that any human who does not bear fruit for God will also be destroyed for his or her failure to produce. Jesus did not throw a temper tantrum and curse the fig tree even though it was incapable of producing fruit. He cursed the tree because it should have been growing fruit since it had the outward signs of productivity. Jesus’ calculated timing underscored the spiritual truth that barren spiritual trees eventually run out of time. As for personal application, we should all diligently strive to ensure that we are not the barren fig tree. 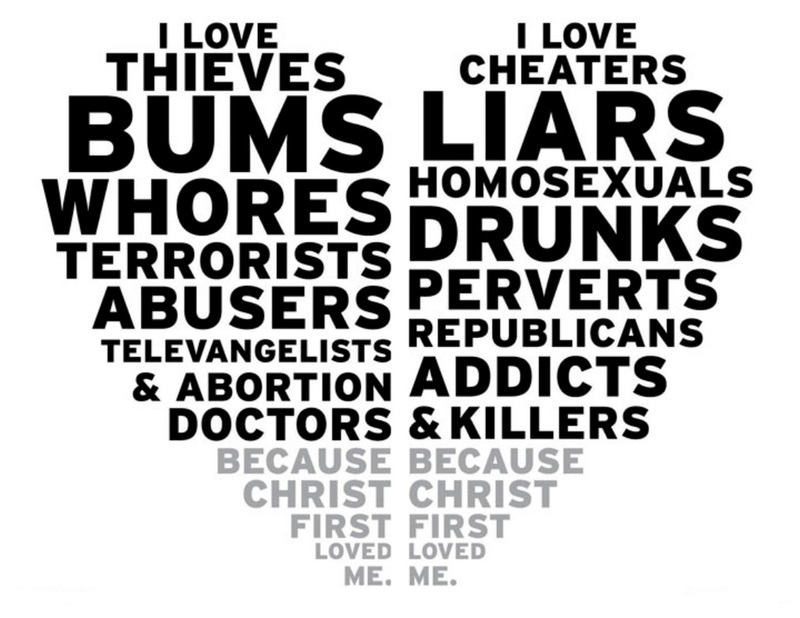 Lord, give me a forgiving heart!
. . . and we don’t care. Their answer shows clearly they are not interested in the truth about either John or Jesus. They just want their own power left to them undisturbed. The council members agreed with what Gamaliel said, and they called the apostles back in. They had them beaten with a whip and warned them not to speak in the name of Jesus. Then they let them go. The apostles left the council and were happy, because God had considered them worthy to suffer for the sake of Jesus. 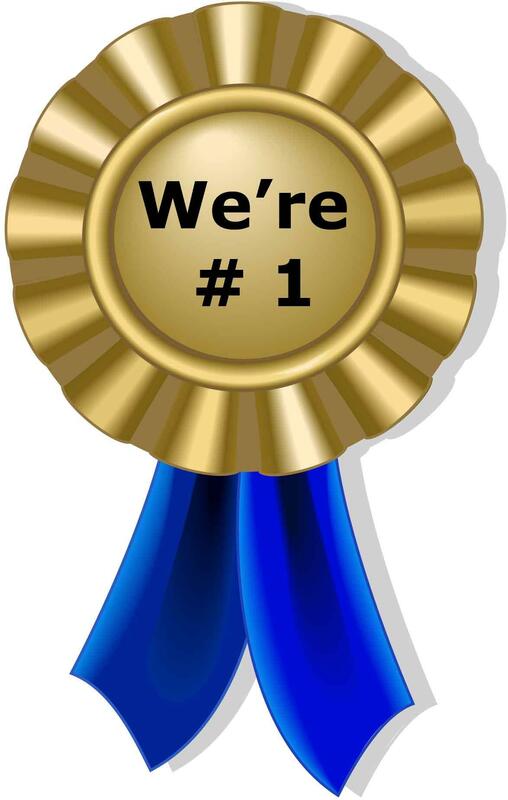 In Mark 9, the disciples were arguing about who is the greatest; James and John, with great self-confidence, wanted to lock in the #1 and #2 spots for themselves. Then Jesus told them, “You will indeed drink from my bitter cup and be baptized with my baptism of suffering. James was the first apostle to be martyred (Acts 12:1-2). Long-standing tradition asserts that John was sent into exile to the island of Patmos where he wrote the book of Revelation. During the American Revolution a man in civilian clothes rode past a group of soldiers repairing a small defensive barrier. Their leader was shouting instructions, but making no attempt to help them. Asked why by the rider, he retorted with great dignity, “Sir, I am a corporal!” The stranger apologized, dismounted, and proceeded to help the exhausted soldiers. The job done, he turned to the corporal and said, “Corporal, next time you have a job like this and not enough men to do it, go to your commander-in-chief, and I will come and help you again.” With that George Washington got back on his horse and rode off. Oh!! Jesus asks YOU that question!! Just now, give him your specific answer. 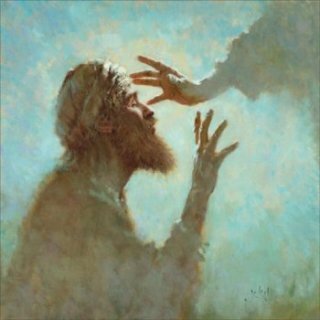 Blessed is he who gives sight to the blind. You are currently browsing the DWELLING in the Word blog archives for March, 2015.